Be the first to share your favorite memory, photo or story of Gregg . This memorial page is dedicated for family, friends and future generations to celebrate the life of their loved one. Gregg Laurie Otto, of Lyndeborough NH. passed away suddenly on, Saturday, January 12, 2019, in Wilton NH, from complications due to an injury he sustained that morning. He was born on May 8, 1954, and was raised and educated in Dracut, MA. Gregg was the son of the late Orin M. and Norma H. (Laurie) Otto. Gregg is survived and will be deeply missed by his wife, Caroline, of Lyndeborough, NH, and a son, Jason G. Otto, of CT. Along with a brother, Steven and his wife Susan Otto, of MA. A sister in law, Ginger and her husband Gary Hankard of Dunstable , MA. Gregg was also the brother of the late Debra L. (Otto) Field, of Hollis, NH. Lastly, he leaves behind many nieces and nephews . 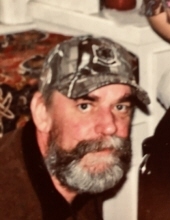 An avid outdoors man, Gregg enjoyed hunting, fishing, camping, but mostly it was his passion for agriculture and farming in the local area that gave him the most joy. He was a good friend to all who knew him, as well as an engaging and a good natured person to those he met over the years at his farm stand in Wilton,NH. Sadly he will be missed by all . To send flowers or a remembrance gift to the family of Gregg Laurie Otto, please visit our Tribute Store. "Email Address" would like to share the life celebration of Gregg Laurie Otto. Click on the "link" to go to share a favorite memory or leave a condolence message for the family.